In Iran it is not uncommon to see 5R earthquakes. It is an active region of the world. especially as it is also oil producing country. 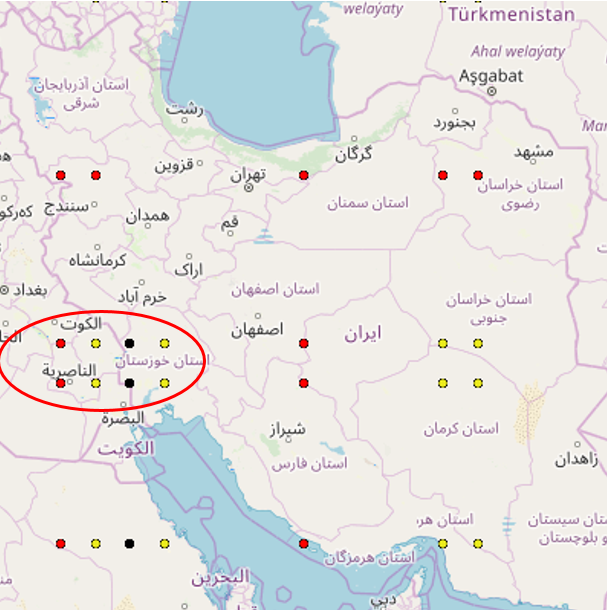 For the period considered here, the most suspect region is the region close to the Iraq border, as shown on the map inside the red circle. For the dates considered the colour code is Red for 5th Dec., Yellow for 6th December and Black for 7th December.